I love a good book. I love acquiring new knowledge, discovering fresh ideas and enjoying a good tale, well told. So over the years I’ve come to review quite a few of the books I’ve been enjoying, often on a variety of topics circling around post-production, business ideas, creative thinking, creative people and a few other random topics in between. What follows are some quick links to every book related post on the blog. I’ve also put a few of my absolute favourite books in bold so they’re easier to spot. 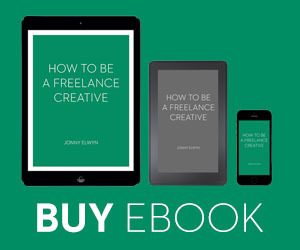 I’ve also written my own ebook, How to be a Freelance Creative, with the aspiration of helping other creative professionals enjoy their freelance journey. After 10 years of freelancing, the book is essentially everything I know about building a successful freelance career, in a quick 100 pages. 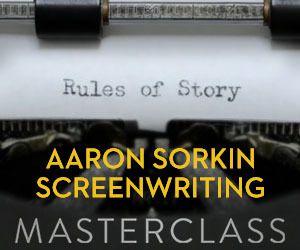 Books on Film Editing Part 1 > Behind The Seen – Editing Cold Mountain on Final Cut Pro by Charles Koppelman. Making Movies by Sidney Lumet. The Film Editing Room Handbook by Norman Hollyn. The Conversations: Walter Murch and The Art of Editing Film by Michael Ondaatje. When the Shooting Stops… The Cutting Begins by Ralph Rosenblum and Robert Karen. The Final Cut by Steven Bach. Notes on The Making of Apocalypse Now by Eleanor Coppola. Books on Film Editing Part 2 > Cut to The Chase by Sam O’Steen. In The Blink of an Eye by Walter Murch. The Visual Story by Bruce Block. The Invisible Cut by Bobbie O’Steen. Books on Film Editing Part 3 > First Cut 2 – More Conversations with Film Editors by Gabriella Oldham. Cutting Rhythms – Shaping the Film Edit by Karen Pearlman. Conversations with Wilder by Cameron Crowe. First Cut – Conversations with Film Editors by Gabriella Oldham. Books on Craft of Film Editing > Film Craft by Justin Chang. Final Cut Pro X: Pro Workflow by Mike Matzdorff. Concrete Wedding Cake by John Heath. Avid Uncut: Workflows, Tips and Techniques from Hollywood Pros by Steve Hullfish. Dream Repairman by Jim Clark. The Art of The Cut by Steve Hullfish > A worthy purchase for any editor looking to soak up some serious editorial wisdom from some of the world’s best editors, helpfully ordered by topic. 6 Books for Modern Storytellers > Storytelling for Virtual Reality by John Bucher. Jump Cut by Lori Jane Coleman ACE and Diana Friedberg ACE. Developing Story Ideas by Michael Rabiger. Film and Video Production in The Cloud by Jack James. The Practical Guide to Documentary Editing by Sam Billinge. How to Edit Videos That People Want to Watch by Rachel Bastarache Bogan. 5 Books on How To Learn To Be A DIT > Digital Imaging Technician by Robert L. Trim. The Filmmaker’s Guide To Digital Imaging by Blain Brown. Modern Post – Workflows and Techniques for Digital Filmmakers by Scott Arundale & Tashi Trieu. Digital Cinematography – Fundamentals, Tools, Techniques and Workflows by David Stump ASC. Data Management, Backup and Archive for Media Professionals by Marc M Batschkus. 5 Books on Colour Grading and Colour Science > Color Correction Handbook 2nd Edition by Alexis Van Hurkman. Color Correction Look Book by Alexis Van Hurkman. The Art & Technique of Digital Color Correction by Steve Hullfish. Color and Mastering for Digital Cinema by Glenn Kennel. The DaVinci Resolve Manual (mostly) by Alexis Van Hurkman. 3 Essential Books on Avid Editing > Avid Agility by Steve Cohen. Avid Assistant Editor’s Handbook by Kyra Coffie. The Avid Media Composer Cookbook by Ben Hershleder. 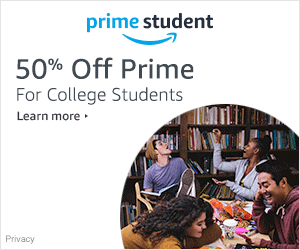 Make the Cut – A Guide to become a successful assistant editor in Film and TV by Lori Jane Coleman ACE and Diana Friedberg, ACE. 5 Books to Expand Your Skillset as a Film Editor > Into the Woods by John Yorke. Design for Motion by Austin Shaw. Production Pipeline Fundamentals for Film and Games by Renee Dunlop. The VES Handbook of Visual Effects by Jeffrey A. Okun and Susan Zwerman. Compositing Visual Effects in After Effects by Lee Lanier. Cutting It In Hollywood by Mitchell Danton, ACE. 5 Free Books Every Editor Should Read > The FCPX User Manual. Adobe Premiere Pro User Manual. Avid Media Composer Editing Guides. 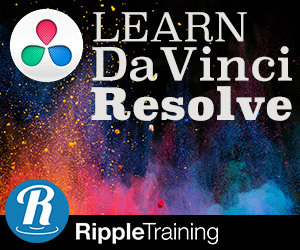 DaVinci Resolve Manual. Adobe After Effects Manual. 5 Books For Creatives Everyone Should Read > Making Ideas Happen by Scott Belsky. REWORK by Jason Fried & David Heinemeier. Screw It Let’s Do It by Richard Branson. The Creative Habit by Twyla Tharp. The Design of Everyday Things by Donald A Norman. 5 Books on Storytelling Every Creative Should Read > Teach Yourself Screenwriting by Ray Frensham. On Writing by Stephen King. A Million Miles in a Thousand Years by Donald Miller. The Writers Journey by Christopher Vogler. Story by Robert McKee. 5 Great Books for Business-Minded Artists > Creativity Inc. by Ed Catmull with Amy Wallace. Getting To Yes by Roger Fisher and William Ury. Jim Henson The Biography by Brian Jay Jones. Make Art Make Money by Elizabeth Hyde Stevens. Maximise Your Potential and Manage Your Day-to-Day by 99U. 5 Books About Ideas to Shape Your Creative Thinking > Where Good Ideas Come From by Steven Johnson. The Decisive Moment by Jonah Lehrer. Little Bets by Peter Sims. Cognitive Surplus by Clay Shirky. The Wisdom of Crowds by James Surowiecki. Top 5 Business Books For The Digital Age > The Art of The Start by Guy Kawasaki, Delivering Happiness by Tony Hsieh, Free by Chris Anderson, Banker To The Poor by Muhammed Yunnus. Good To Great by Jim Collins. Books on Hacking Inspired by Mr. Robot > Countdown to Zero Day by Kim Zetter, The Cuckoo’s Egg by Cliff Stoll, Ghost in the Wires by Kevin Mitnick, Future Crimes by Marc Goodman, The Art of Deception by Kevin Mitnick and William L. Simon. What’s your favourite creative read? Awesome roundup here! I think people interesting in getting into this industry, or people already in needing some inspiration or overview of the industry, should DEFINITELY pick some of these up! Thanks for sharing these! Thanks for the kind words Jordan.